We thought there was no one more upbeat than Abby – but we were wrong. 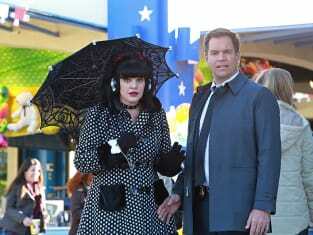 Her brother one-upped her by stubbornly defending a Russian agent on NCIS Season 13 Episode 12. Join TV Fanatic panelists David Taylor, Christine Orlando, Kathleen Wiedel and Douglas Wolfe as they hash out the first of this two-part NCIS/NCIS: New Orleans story. Maybe you have a different take than they do. Join the discussion in the comments below! How would you describe this episode, in a few words or a sentence? Kathleen: Faith: more powerful than common sense. Doug: There's a reason they call it blind faith. David: I know the "Star Wars" bit seems to be a popular favorite, but I liked the "bait and switch" that Gibbs pulled with the transit of Pavlenko's body. Christine: I wanted to go with the Star Wars mention but my favorite was how Abby never chastised Tony for arresting her brother but immediately asked Luca, “What did you do?” I love that she trusts Tony and her team that much. Doug: I enjoyed the sign language interrogation. Abby knew full well that Gibbs knew ASL while her brother thought he was talking privately with her. Abby has such a heart for her brother, but even so, her work and her fellow NCIS brood take precedence. Always. What if anything didn’t work? David: Oh...SO many things, but two things really stuck in my craw (apart from Luca's perpetually dreamy disposition – more on that later). The first was forcing that plane crash: it's actually easier to hack a GPS satellite than a plane's auto-pilot? Is that REALLY supposed to sit better with the flying public than hacking the plane's auto-pilot? The second was the scene in the diner. Why were they discussing the homicidal exploits of a Russian sleeper agent in public? And since the camera started out across the diner from their table, does that mean others heard it too? Christine: I agree with David about the GPS. They made it sound as though they were hacking the GPS satellite. Doesn’t that feed go to many other things like planes, cars, etc? Couldn’t messing around with those coordinates send more than just one plane off course? They made something incredibly risky sound fast and easy and made for a real eye roll worthy moment. Kathleen: Good heavens, there were a ton of plot holes with this story. Like, if the neurotoxin was on the eating utensils (at least, I *think* it was on the utensils? It was kind of confusing), how did everyone on the flight die -- including the pilot and copilot, who presumably would not be eating at the same time as everyone else? Doug: My complaints about the "Magic Abby" techno stuff are getting old, so instead I'll add to what David mentioned. The way the camera panned around the dinner made me think that the guy reading the paper at the counter was deliberately listening into the discussion taking place at the table. That wasn't the case, obviously, which means it's a technical error. They should have caught that. Will Tony do the frat boy thing and get right back into the dating world now that he’s split with Zoe? What’s next for him? David: Tony doesn't have a good track record when it comes to relationships. While he might do some "rebound" dating, I don't see him in another long-term relationship – at least not while he's a field agent. It may come down to a work/life decision for him. Christine: When we hadn’t seen Zoe this season, I figured she was on her way out but I never saw them as a long term couple. I’m hoping this means that Tony will eventually find a real relationship that makes him happy. Someone on this show deserves to be. Kathleen: I find this disappointing but not altogether surprising. As David pointed out, Tony really doesn't have a good record with relationships. I wonder if we'll ever get to see Tony have a happily-ever-after in that regard, especially with the recent news about Michael Weatherly. Doug: With the news about Weatherly leaving after this season, the only (scary) thing that comes to mind is the possibility they'll bring Ziva back. The story will go that he never really got over her. It would be a way to have him exit the show and join her since we know she has no intention of coming back to the U.S.
What are your thoughts on Pavlenko? David: I was kind of sad to see him go. I liked him as a foil for DiNozzo, similar to how Trent Kort was for Gibbs. Christine: He was never a real favorite of mine so I didn’t consider it a big loss. Kathleen: Honestly, he never really made much of an impression on me beyond "obnoxious Russian who is somewhat helpful when it suits him." Plus, he sort of fell in the "too dumb to live" pile when he popped open a gift bottle when he knew that deadly, dangerous people might be trying to kill him. SERIOUSLY!? Doug: Yeah, you said it, Kathleen. 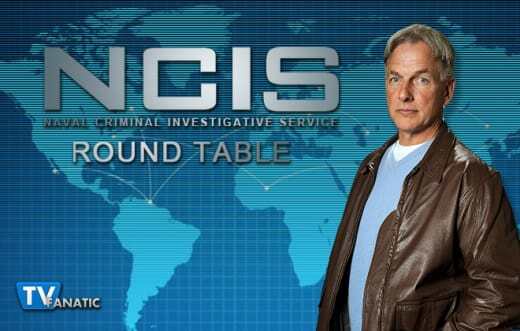 He was starting to grow on me, as his character added an interesting speed bump to the NCIS dynamic. You could never really trust him, could you? But yes, as soon as he began taking multiple shots from that bottle, I knew then and there he was being poisoned. It's so obvious, as it plays into the maxim that "no action on a show is ever done without intent." Is Luca hopeless? What did you think of him? David: I suppose I should be supportive of his cheerful outlook... but it's just so HARD. The more damning she appeared, the more annoying he got. Even when she called and asked to speak to Gibbs (which meant he was wrong about her), he STILL didn't want to believe it. I shudder to think what it would have taken for him to lose faith in her. Christine: Annoyingly funny. His ridiculous idealism was completely over the top but there are people like that in the world. He basically had Abby’s optimism with nothing to temper it with reality about how bad the world can be. Doug: I rarely say this about anyone but the man was stupid. Obstinately stupid, in fact. This wasn't just misplaced optimism....this bordered on a mentality belonging to a person unfit to tie his own shoelaces. What kind of person not only defends a relative stranger, but does so against a host of people he used to trust, all holding evidence to counter his faith in her, starting with his sister? They should bring him back in a recurring role, but let's tone down the idiocy a bit, shall we? 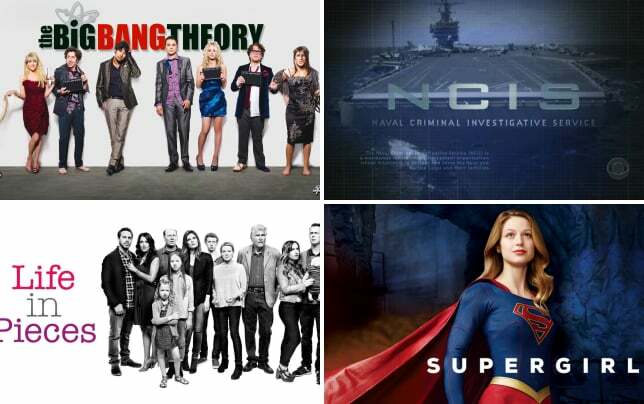 CBS at Midseason: What Will Get Renewed?